Built for the outdoors, fit for the indoors. 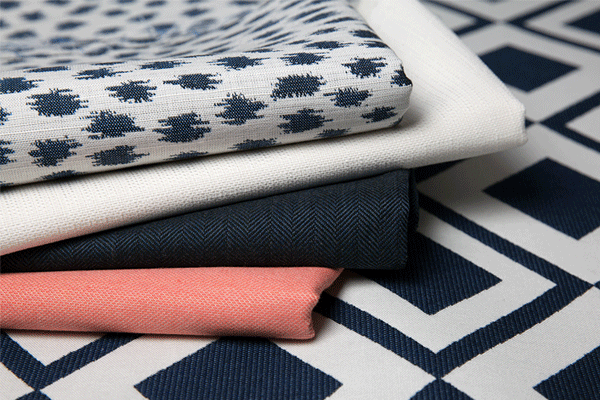 Glen Raven’s Sunbrella fabric was born from the belief that outdoor fabric should be both functional and stylish. Their specially formulated fabrics were the first of their kind in 1961 and continue to be the industry leader today. Despite the cotton standard of the time, they developed a solution-dyed acrylic that provided a vastly more durable performance fabric. Solution-dyed fibers and UV stability ensure colorfastness. 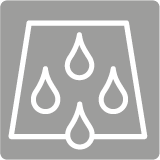 Protective coatings resist water, stains, mold, and mildew. Unique fabric blends create soft, breathable fabrics. Quality materials and weaving techniques mean the fabric keeps its shape. 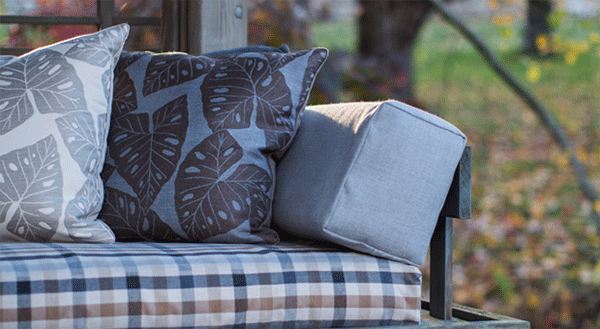 Engineered for the outdoors, Sunbrella fabrics are durable and long lasting. Sunbrella’s team of custom designers stay ahead of trends to deliver fresh styles. 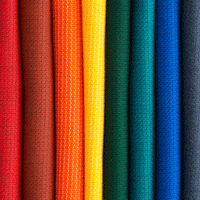 As the leading choice in performance fabrics, they supply a range of colors, sizes, and weights for a range of applications. Sunbrella continues to innovate to accommodate the modern landscape. 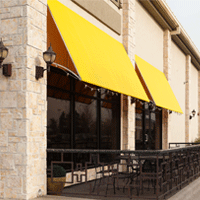 While Sunbrella started in awnings, they’ve expanded into nearly every functional fabric slot. They’re now a mainstay in the awning, marine, upholstery, shade sail, and decorating fabric markets. With design harmony in mind, many colors coordinate across application. The fabrics work well as a replacement fabric or for custom projects. 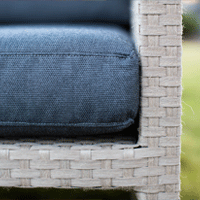 Whether for marine-grade endurance or soft upholstery cushions, Sunbrella has a solution. 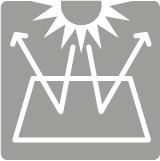 To combat all that time in the sun, Sunbrella awning fabric is designed to stand up to UV rays. The fade-resistant fabric is ideal for window awnings, commercial awnings, patio awnings, RV awnings, and retractable awnings. 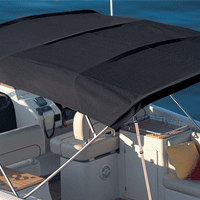 Suited for the sea, Sunbrella marine fabric is mold and mildew resistant. The water-resistant boat fabric can be used in boat shade, boat upholstery, boat covers, bimini tops, and enclosures. Find high-design upholstery fabrics for use indoors and out. The designer fabric combines impressive performance with a plush touch. It's great for patio furniture, interior upholstery, cushions, boat interiors, pillows, and drapery fabric. With a finger on the pulse of outdoor shade trends, Sunbrella introduced their own line of shade sail fabric. 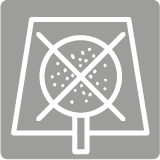 Sunbrella Contour is made from a lightweight, open-weave structure to let water drain through while still blocking the sun. Beyond their reputation in technical fabrics, Sunbrella also shines in trim and cord. This includes awning braid, embellishments, embroidery thread and bobbins, marine binding and facing, and webbing. Feeding a diverse number of functions, the trimming pairs with Sunbrella fabrics for a seamless look. As an arm of Glen Raven, Trivantage aims to take a place under the same future-thinking umbrella. 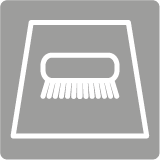 With over 1,500 Sunbrella products available on the Trivantage site, we offer the largest selection on the web. Find tips on how to clean Sunbrella fabrics through our Resource Center. Or details on Sunbrella’s industry-leading 10-year warranty for shade and marine. You’ll also find sample cards for decorative and shade fabrics as well as digital models of the most standard awning styles. 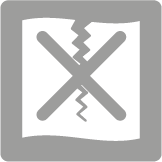 For a convenient way to visualize an awning or shade sail before installing, take advantage of our exclusive Awning Composer® software. And for access to official Sunbrella marketing materials, logos, and images, head over to the Sunbrella Identity page. Follow the links below for more.